Edmonton District Beekeepers Association | Words are like bees, some create honey while others leave a sting. People are eating product that is “Not honey”. 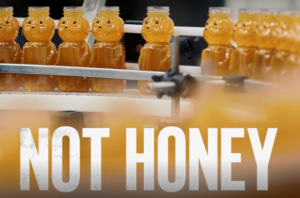 Its more of a “who done it?” real life crime documentary mixed with food sources but the first episode focuses on Honey so you might find it interesting. I like how it gives some insight into the bigger world of honey production and the import/export world. This docuseries travels deep into the heart of the food supply chain to reveal unsavory truths and expose hidden forces that shape what we eat. Doing bee research can lead to some interesting stories. 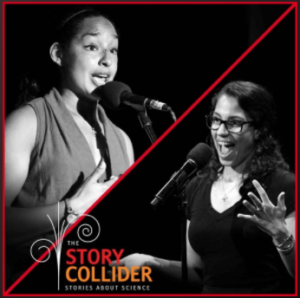 Two stories about the challenges of studying winged wildlife, from bats to honey bees. Part 1: Cylita Guy finds unexpected adventure when she studies bats in the field. Part 2: Rachael Bonoan discovers she may be dangerously allergic to the honey bees she studies. 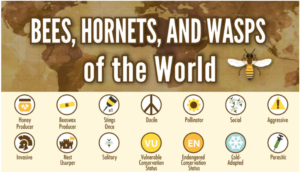 Did you want to know a bit more about bees, hornets and wasps from around the world? It might help answer those questions all your friends and family ask about. Follow the link to an amazing info-graphic with great pictures in an easy to read format. Most people think they are just jerks but did you know the difference between a hornet and a wasp? A big thanks to a little junior beekeeper to be who passed along the information. Great find Garrett! Full graphic and the source found here. 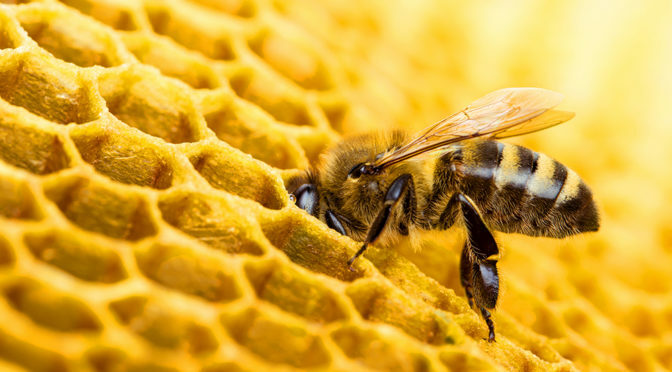 You might already know that there are different types of bees out there, but which ones are important to our ecosystems, which ones are endangered, which ones make honey? This workshop is best suited for people who have been keeping bees for a few years and are planning to turn a hobby into a sideline or a sideline into a business. But every year, attendees also include non-beekeepers who are considering starting and are wondering about beekeeping profitability and are looking for ideas to get moving towards a second career or a retirement income. Neil and Ron are offering their ‘Making Money from Honey‘ course in Edmonton this fall on Sunday, November 5. Neil Bertram and Ron Miksha have been working bees for decades. Between them, they have experience in hobby and commercial beekeeping, queen rearing, pollination, and production of a few million pounds of honey. This overview of beekeeping economics is an all-day program. – the beekeeper personality and lifestyle. To register, contact either Ron Miksha (miksha@shaw.ca) or Malcolm Connell (connellmjm@hotmail.com). If you see a swarm and want a responsible beekeeper to come and catch it… we have a list. The Edmonton and Area swarm catchers for 2018 are listed by name, email, phone number and then what area they cover. Call one of the people for the right area and be prepared to answer a few questions about: if you own the property/house, how high the swarm is, how big and when it arrived. Alan Durston, alan@durston.ca,780-920-1425, S and W Edmonton. naomi.legg@gmail.com, 780-905-5344, S and W Edmonton. Al Koberstein, akobe@telus.net, 780-462-8987, S and SE Edmonton. If all goes well then the swarm can sometimes be taken away in less than an hour (no promises). A copy of this is being sent to Clint at Bee Maid Coop as well. If you want to catch your own swarms, make sure to get a few pro tips from an experienced beekeeper like this article from Malcom. 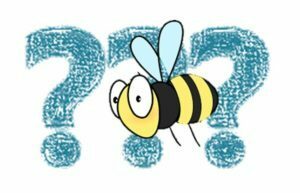 Beekeeping, is it for you? The Camrose Wildlife Stewardship Society is having our president, Craig Toth, present on the basics of beekeeping and showing off the materials needed to take a peek into a hive. Click here to look at the Brochure PDF for more information. Its great to see bees being promoted so well! Good job Craig. Craig Toth (our President) has been doing a lot of media coverage lately and working on bee awareness projects. 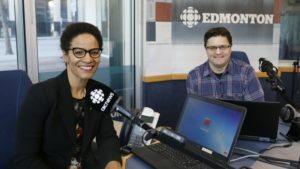 Click here to take a listen of Craig talking with Portia Clark on the CBC radio show called Radio Active.